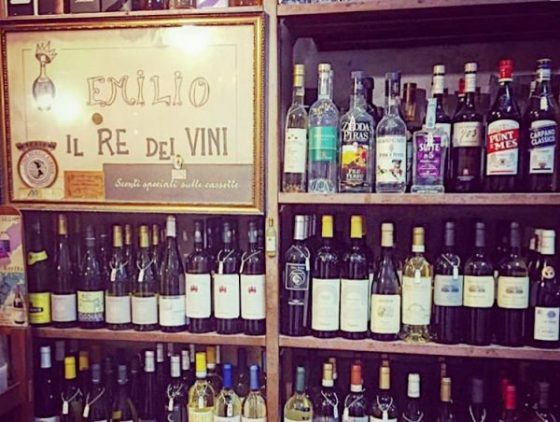 "Emidio Molinari e Figlio Vineria" in Rome is a wine bar that's more of a wine shop! Very down-to-earth and a real meeting point for locals after work! The post Emidio Molinari e Figlio Vineria – Local hangout appeared first on Spotted by Locals Rome. A little bit out of the centre of town, this wine bar is perfect if you’re staying in the Salario area and want to get out and feel like a real local. Molinari is more of a wine shop than a bar, with hundreds of bottles from all around lined up along the walls of the small space. Although it’s always packed in the evenings the owners are around to help you decide – you can buy an entire bottle or just have a glass. There’s a few seats and tables outside but they’re always in high demand, so you might have to settle for standing up until one becomes available. The bar is very down-to-earth and not fancy at all, but a real meeting point for locals heading for an afterwork drink (the offices of several international companies are nearby) and students – mainly due to the bar’s prices, which are insanely cheap! "La Fraschetta di Castel Sant'Angelo" in Rome makes the perfect porchetta, a traditional Italian roast pork dish. The seats outside come with a great view. 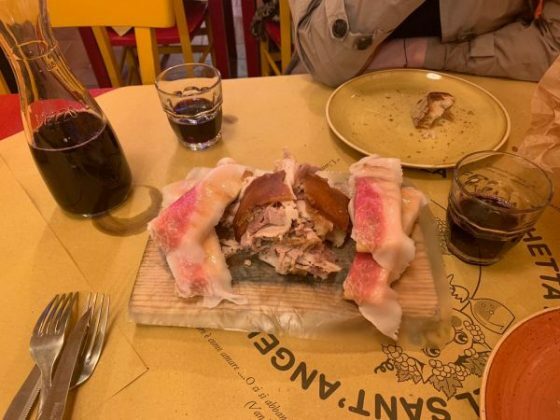 The post La Fraschetta di Castel Sant’Angelo – Roast pork appeared first on Spotted by Locals Rome. Before I went to this restaurant, I checked it out online and noticed that one person had called it a “strategic place for lunch”. 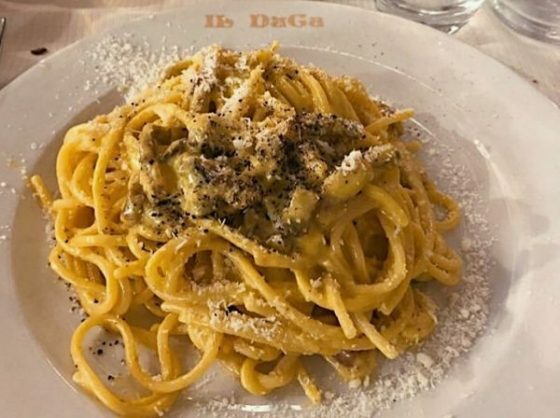 Having now been there, I can attest that this review is absolutely correct – located right between the Vatican, Castel Sant’Angelo, Piazza Navona and Campo dei Fiori, La Fraschetta is a great place to stop by for a quick (but tasty) bite. It’s a traditional Roman trattoria, selling all the usual fare – including Carbonara, Amatriciana and Saltimbocca. But the thing I was really impressed with was the Porchetta starter. Porchetta is a traditional Italian roast pork dish flavoured with garlic and herbs – and here it’s absolutely perfect. The flavour is not too strong and the meat is melt-in-the-mouth. It’s served with focaccia bread wrapped in salty parma ham – the antipasto platter is huge, making it a perfect lunch for two people! Even better, there’s seats outside with a full view of Castel Sant’Angelo – a real Roman experience. "Coropuna" in Rome is really different from other bars in the centre -- it's part sushi restaurant, part cocktail bar & part club in a NYC-style warehouse! The post Coropuna – All-in-one evening destination appeared first on Spotted by Locals Rome. Part sushi restaurant, part cocktail bar, part club: Coropuna is located a little further out of Rome than spots I’d usually write about, but it’s worth the extra travel time to reach this one-stop weekend spot. The space itself is really different to a lot of the bars in the centre of Rome – an airy New York-style warehouse, complete with courtyard and terrace, adorned with Instagram-worthy greenery and lighting to match. Although a little on the expensive side, the drinks are great – there’s a good selection of cocktails and the Cusqueña beer from Cuzco in Peru is a nice touch. The food is a Japanese-Peruvian fusion – think sushi and meat plates. The nice thing about Coropuna for me is that it transfers effortlessly from early evening bar, to restaurant, to club – so once you’ve made the effort to get there, you can stay for the whole night! "Bali Bar" is a hidden restaurant in Rome that makes authentic Asian food from Thailand, Bali, Vietnam and China. It isn't easy finding such places at all! The post Bali Bar – Authentic Asian food appeared first on Spotted by Locals Rome. Finding authentic Asian food in Rome is not super easy, so thank heavens for Bali Bar. 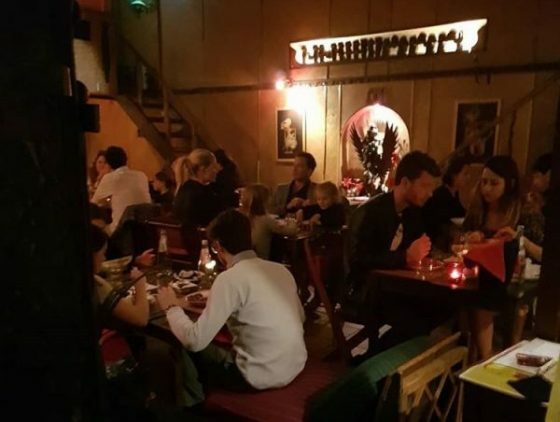 Centrally located in Trastevere, it’s a great spot serving food from Thailand, Bali, Vietnam and China – in a really cosy, hidden restaurant. Tucked down a side street, it’s not obvious from the outside that it’s a restaurant – it’s a single door, and you have to ring a bell to be let in. Once you’re in though, you’re magically transported to another country – there are rooms with lounge seating and an outside bar, where you can smoke shisha. At the back there’s the restaurant area, lit by candles with tons of cosy sofas and low tables to eat at. What I like about it is that it’s not just classic Chinese food but, as the name suggests, dishes from Bali and other parts of Asia too. For me, it’s always tricky to choose between the pad thai and the Balinese dish Beef Rendang – amazingly tender meat stewed in a a coconut-y, spicy sauce. 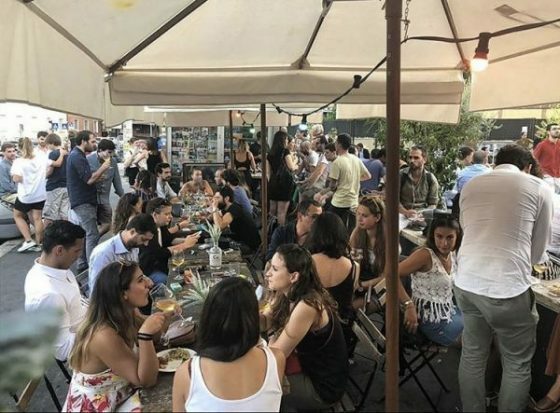 The post Fischio – Lively summer bar near the Vatican appeared first on Spotted by Locals Rome. When Rome gets hot in the summer (or even in the spring!) I immediately start looking for bars with plenty of outside space – there’s nothing better than a morning coffee or a late night beer outside when it’s warm! Fischio is one of my go-to places for this – mainly because it’s just outside my house, but even if it wasn’t, I’d make the journey to go there anyway. Run by a really cool bunch of guys, it’s really just a kiosk on the street – but they’ve added plenty of outdoor seating, umbrellas and fairy lights to make it a welcoming place to come and meet friends. It’s open all day, for pastries and coffee in the morning (a whole breakfast for just €2.20!) to drinks in the evening. It’s really reasonably priced, and there’s often live music or DJ sets to accompany your drink. They do cocktails, a great range of beer and organic wines, so there’s something for every taste – if you’re planning on popping by though, best to go early because it’s always packed with locals! The post Int. 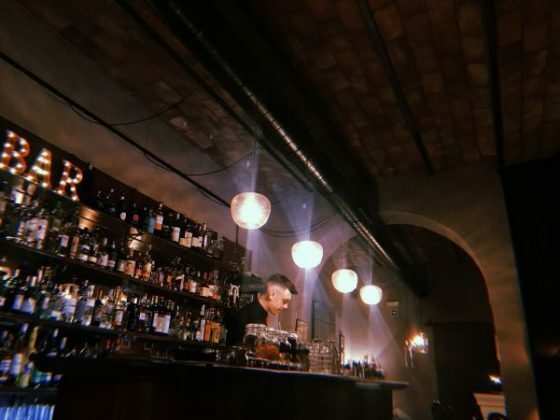 2 – My favourite hidden speakeasy appeared first on Spotted by Locals Rome. Moving to Rome from London, one of the things I really missed was ‘concept bars’ – Rome is full of great traditional wine bars, but sometimes you hanker for something a little more unique. Luckily, I came across Int. 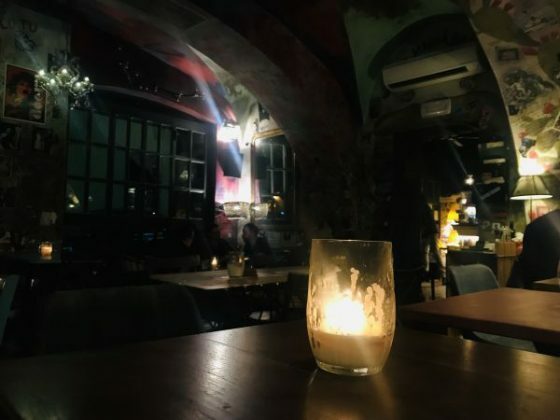 2, a ‘secret’ speakeasy located in an apartment building in Ponte Milvio, which has become my go-to spot when I want something different. If you didn’t know it was there, you would miss it completely – unless you happened to catch a glimpse of the fairy lights adorning the window whilst standing in the piazza outside. The best thing about it is that, to the untrained eye, Int. 2 looks like a normal home – but after entering the building, going up to the first floor and knocking on the bar’s door, you get to discover how fabulous it is! You’ll be welcomed into a cosily lit living room – think vintage sofas, huge mirrors and velvet lampshades. 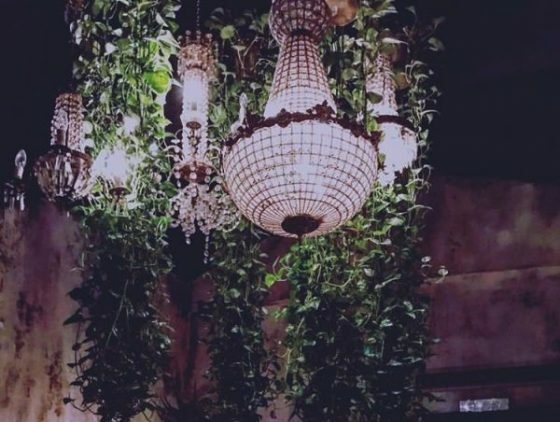 Lit up by candles and fairy lights, it has real 1920s speakeasy vibes and is a sumptuous place to spend a few hours. The staff are all super friendly and there’s a great cocktail list, but they’ll also make anything you want if you ask for it; I had a Pornstar Martini, which are (unfortunately) non-existent in Italy, and they whipped up a pretty good one! A little pricey at €10 a cocktail, but well worth it for the experience and to try a really ‘local’ cocktail bar in Rome. "Big Hilda" in Rome's Trastevere won't cost you the earth & you'll actually find places to sit, unlike most surrounding bars. Great happy hour & cocktails. 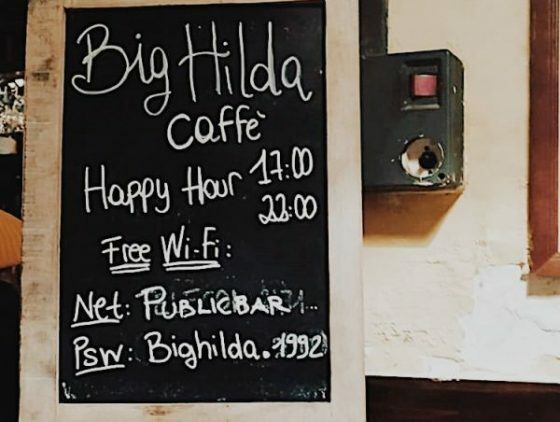 The post Big Hilda – Cheap drinks in Trastevere appeared first on Spotted by Locals Rome. Trastevere is the nightlife capital of Rome on a Saturday night – especially if you’re a tourist or an American student. The streets are packed, and almost all the bars are full – it can be difficult to find a place to meet friends that has spare seats and won’t cost the earth! Fortunately, right in the centre, there is Big Hilda. It’s actually a pretty big bar, and even on a Saturday there’s almost always space to come in and sit down. The best part about it? Between 5 and 10pm every day is Happy Hour – glasses of wine are €3.50 and cocktails between €4 – 5. It’s a really relaxed pub environment, and you can stay there for as long as you like – they also do food, if you get hungry! All this makes it a great spot to have a few drinks on a Saturday night, away from the chaos outside. All the cocktails are good – not fancy, but tasty nonetheless. I’d recommend the Caipiroska alla Fragola, or just a Spritz or a prosecco. The post Il Duca – Trattoria in Trastevere appeared first on Spotted by Locals Rome. Trastevere is a spot in which it can be difficult to find an authentic restaurant – I was a little unsure before trying Il Duca, as from the outside it doesn’t look like anything special. But I’d read a lot of good reviews and decided to give it a try – and I’m glad I did! This is now my go-to spot for lunch in Trastevere when I have visitors staying – or just fancy a meal in the area! Right in the middle of the action, the interiors are homely and warm and there’s a great terrace at the back for the summer. The waiters are all super friendly and willing to help out if you need some advice. Artichokes are a very Roman dish, and here they are really something special – try them both alla Giudia (soft and braised in a garlicky oil) and alla Romana (fried and crunchy). Then move on to a classic Roman pasta – the Cacio e Pepe here is excellent and not too creamy, or the Bucatini all’Amatriciana, which is my favourite! It is all reasonably priced and really good quality – a spot not to be missed in Trastevere. The post Pizzeria Giacomelli – Authentic pizzeria in Prati appeared first on Spotted by Locals Rome. The first thing that comes to mind when you think of the area around the Vatican is: touristy. But whilst there are a lot of tourist trap restaurants and bars, it’s worth remembering that it’s also an area where a lot of Romans actually live – meaning there are some really authentic restaurants, if you know where to look! Pizzeria Giacomelli is one of these, turning out great Roman dishes and woodfired pizzas since the 1950s. It’s a no-nonsense kind of place, with bright lighting and hard seats, but bundles of personality – the walls are covered with photos of the owner with various celebrities through the years, and the staff are always happy to help. 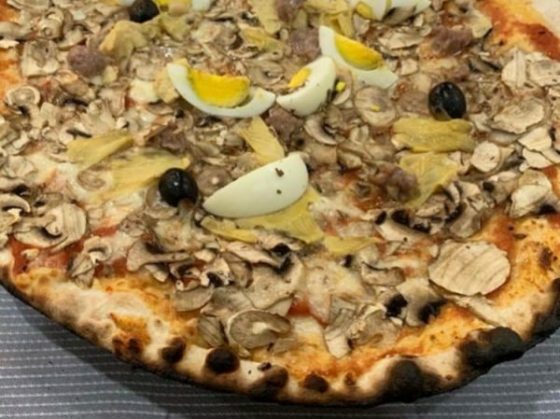 The pastas are all good, but I usually go for the pizza – thin and crispy, as they should be in Rome, and almost criminally cheap. If you’re a fan of spicy pizzas, I’d recommend the Nduja and Onion one – medium is usually the best size to get, unless you’re super hungry! If you want a starter first, do as the Romans do and order something fried – Fiori di Zucca (courgette flower) and Suppli (fried rice balls) are good choices. "Mons" is a burger joint and cocktail bar right in the centre of Rome. It's not fancy, but it's very cosy and just right for a meal with friends! The post Mons – Juicy burgers in the heart of Rome appeared first on Spotted by Locals Rome. What I love about Rome is that there’s always somewhere new to discover – just when you think you know where all the best places are, you find another gem tucked along one of the city’s winding sidestreets! I discovered Mons totally by chance – I was on my way for drinks and parked right next to it. Just looking through the windows I loved the quirky, cosy vibe of the place, and made a mental note to come back and eat later. Mons is a burger joint and cocktail bar, right next to two of my other favourite spots – Etabli and Bar del Fico – and right in the centre of Rome. The decor is super funky, with low-lighting, graffiti and newspaper print all over the walls. The seats are comfy, tables are candlelit and there’s a couple of sofas available too if you just want to pop in for a quick drink. I had the Terminator and it was delicious – medium rare, just how I like it, with cheese, bacon, lettuce and a side of chips. All this for just €9! I didn’t try the cocktails, but I had a beer – again, the price was reasonable, a large beer for €5. It’s not fancy, but if you’re looking for somewhere cosy for a meal with friends in the centre of Rome, Mons is just right!